New Delhi : Singer Sonu Nigam shared a terrifying picture from the hospital where he was admitted after he was diagnosed with a sea food allergy. In his post, the 45-year-old singer writes that he had to rush to Mumbai's Nanavati Hospital after suffering from an acute case of sea food allergy. The singer said that he was having troubles in breathing and the photo reveals how his left eye was massively swollen. Talking more about the seriousness of the situation, he said that the case could have gone worse if he did not get quick medication. However, he managed to recover well in time before a scheduled concert in Jeypore. He thanked his well wishers and said, "Thanks for your concern and love. Now that you know that I am returning back from Jeypore Orissa after managing a concert last night, I now don't mind sharing how I was the day before yesterday." "Lesson for all of us, never ever ever, ever take a chance with allergies. Seafood in my case. If Nanavati Hospital wasn't nearby, my trachea would have swollen up further and lead to asphyxiation. 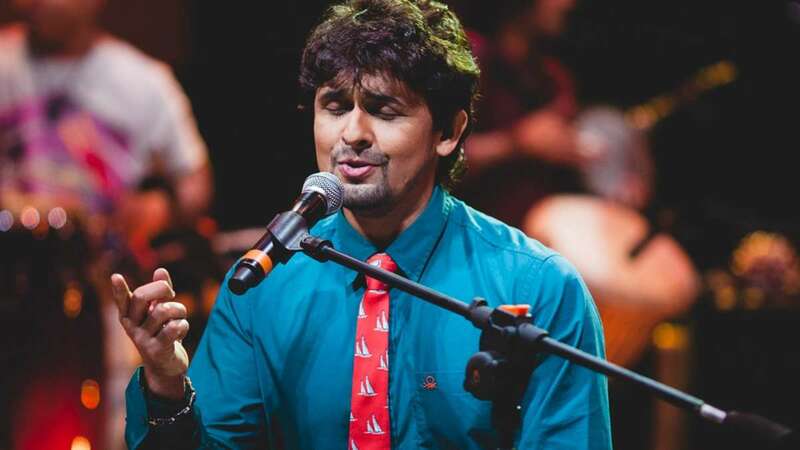 Happy and Healthy life to everyone," read the rest of Sonu Nigam's post.